The James Bond of package deals for the 1982-1992 Chevrolet Camaro, Pontiac Firebird, and Pontiac Trans Am. If you're considering restoring your old Camaro or Firebird one of the most important sets of parts you'll need are your steering linkage components. Well, identifying the correct ball joint alone can be difficult, so trying to find an entire steering kit can be intimidating.  But here at DST we've taken the guesswork out of the picture. This is Moog Package Deal 007, the James Bond of package deals for the 1982-1992 Chevrolet Camaro, Pontiac Firebird, and Pontiac Trans Am. Replacing your OE parts with Moog's Problem Solver front end parts will give your Firebird the performance and dependability that OE parts couldn't match, even when they were new. I'm giving you the opportunity to walk out with a better Camaro. Moog Package Deal 007 was created right here at DST and includes all of the front end steering parts for your Camaro at a premium discount. 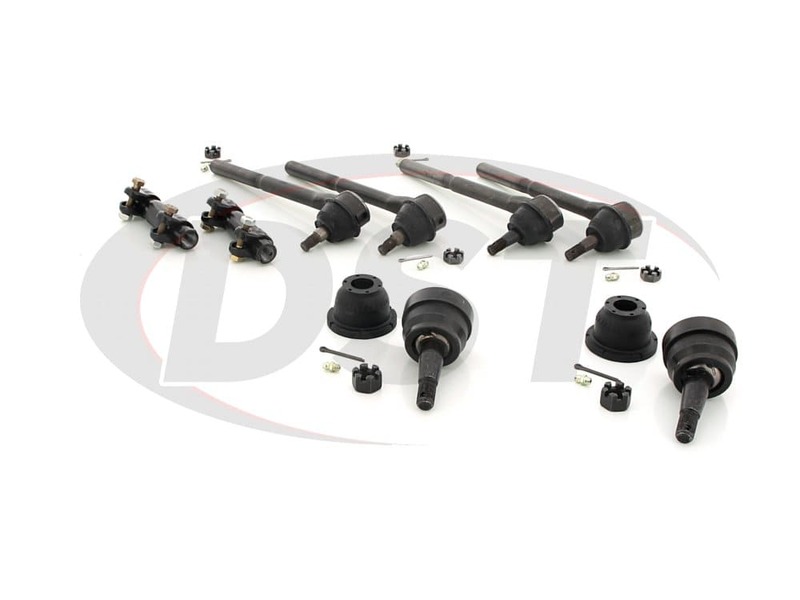 Included in this kit are the front lower ball joints for both the driver and passenger side. 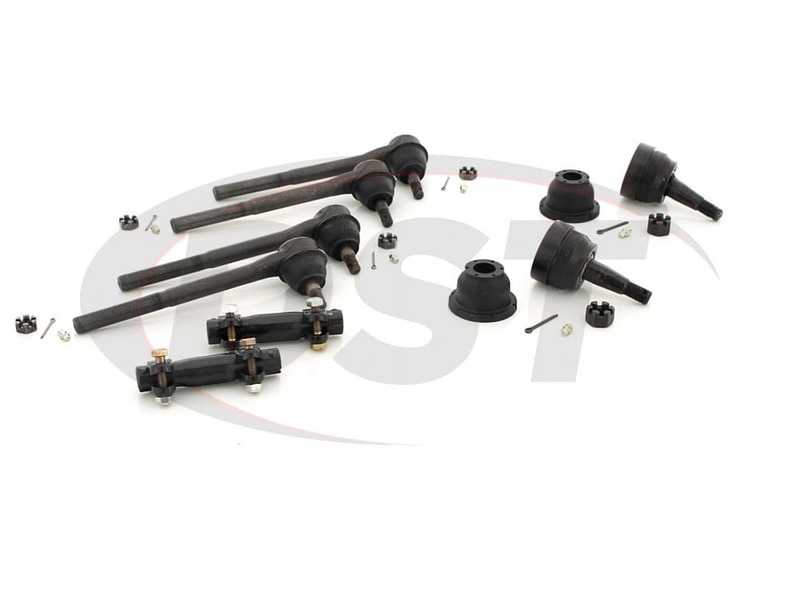 All four tie rods, both inner and outer, as well as the adjusting sleeves. Starting with the ball joints, these will be mounted in the control arm or spindle. Inside this part is a ball joint stud that swings to compensate for the up and down movement in your suspension. So your ball joint basically works for both the steering and suspension. 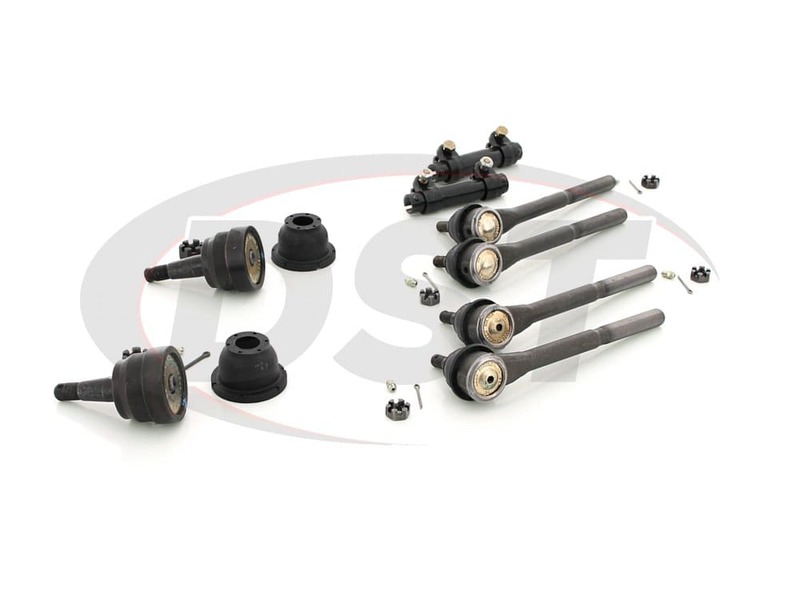 Because the ball joints are so important, you want to choose a dependable part for your Pontiac's restoration. Moog's Problem Solver ball joints are just that, dependable. Designed to be greaseable and using a hardened steel stud, these ball joints are both durable and easily serviceable to ensure a long life. In addition to the increased durability, these ball joints use Moog's "gusher" bearing design, transferring vehicle loads through the ball joint and into the housing, reducing stress on the ball joint itself. Included with the ball joints are zerk grease fittings and neoprene dust boots to seal in grease and keep out harmful road contaminants. Just taking the Trans Am out for a spin. Also included in Package Deal 007 are all four tie rod ends you'll need. 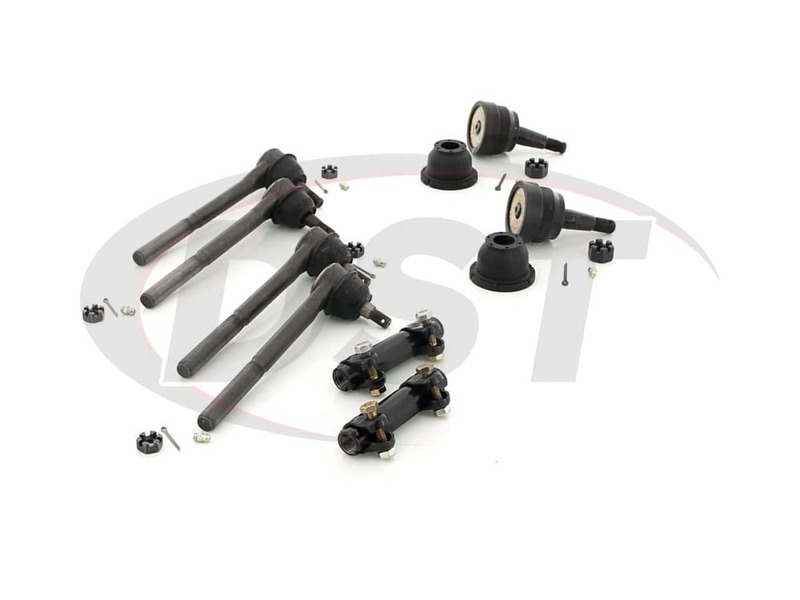 There are the outer tie rods, one for the driver side and one for the passenger side, and the inner tie rod ends, one for each side as well. 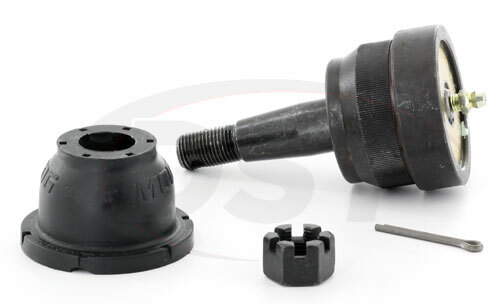 The tie rod end is a major pivot point in the steering system. 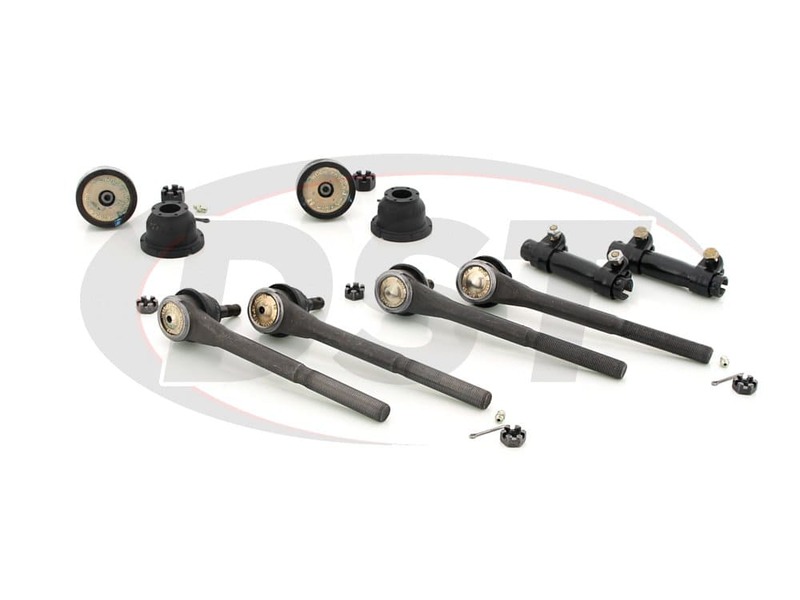 Like the ball joints, these tie rod ends are greaseable and use a ball and socket design on one end that connects it to the steering arm. When your steering wheel moves, this ball, and socket allows your wheels to turn. With Moog's problem solver tie rod ends, you can ensure that your Trans Am's steering ability is increased and stays dependable. Yes, this is your Firebird's second life. Lastly in Package Deal 007 you have the tie rod adjusting sleeves. These adjusting sleeves attach the steering components together, allowing your Camaro to be aligned properly and stay that way. Package Deal 007 is covered with a lifetime warranty handled in house right here at DST. starstarstarstarstar" Physical size much larger than stock, rubbers are firm, and high quality product. " Physical dimensions, rubber firmness, and attention to quality are present in every item in the package. Everything fit properly on my 91 Z28. Handling was greatly improved for stock and worn out components. This was matched with the installation of ALL MOOG suspension components. starstarstarstarstar" everything is installed.. "
I got the parts in great time and I am pleased with your parts. On packagedeal007, if these parts are guaranteed to fit and then they end up not fitting, do I have to pay for shipping back? No, for parts that do not fit your vehicle after we have guaranteed will fit, we will pay for the shipping back to us.